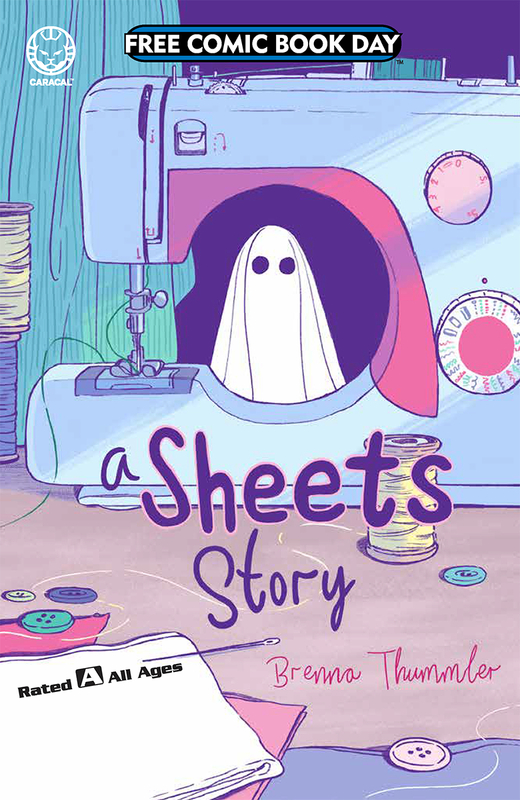 Vous avez lu Free Comic Book Day 2019 - A Sheets Story ? Résumé du tome : An all new original story that takes place after the events of Sheets by Brenna Thummler. When Marjorie Glatt goes to her grandmother's to celebrate Mother's Day, Marjorie can think only of getting her ears pierced. All the girls in seventh grade have their ears pierced. But Wendell, Marjorie's ghost friend who roams the human world as a sheet, doesn't want Marjorie to change herself just to fit in.